A glistening beach just after sunrise and before lectures. Definitely a compelling reason to attend a regional conference. It's said that veterinary science is more art than science, but there are also "laws" and "rules" that are often invoked in case management. When I went through uni it was “never let the sun set on a pyometra” and “no animal should die without the benefit of…prednisolone/doxycycline/insert pharmaceutical silver bullet of choice”. They are the sort of phrases you can almost hear your lecturer/mentor/wiser colleague saying in your brain when you’re thinking about cases. 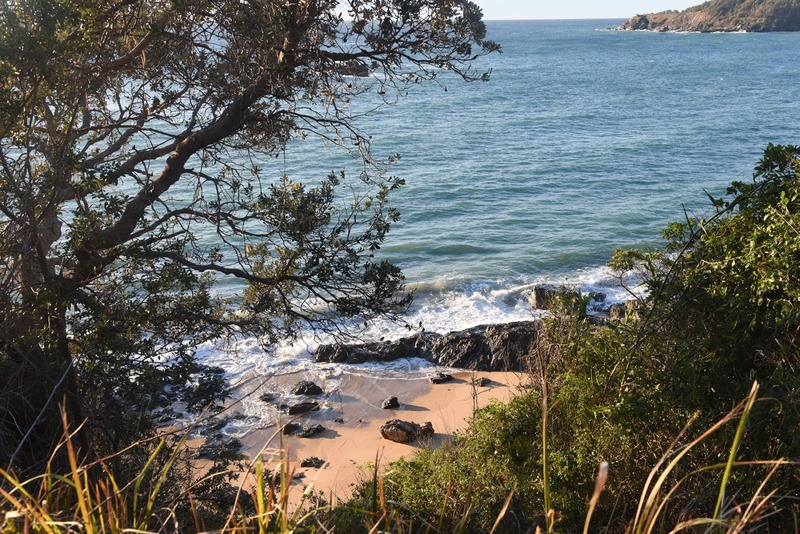 Over the weekend I attended the AVA’s regional conference in Coffs Harbour (with its stunning, pristine beaches) and learned a couple more, courtesy of some fantastic veterinary specialists who shared their knowledge. Sutton’s Law: “When diagnosing, one should first consider the obvious”. Idiolepsis (aka tunnel vision): the practice of making up your mind about the diagnosis and thereafter ignoring evidence to the contrary. (The cure for idiolepsis is being systematic in your approach). Of course, these propositions are experience, not evidence-based, and just as soon as you invoke one a colleague will chime in with a counter-example showing just how useful tunnel-vision was in arriving at a diagnosis or when a random and not well-through through diagnostic test yielded a definitive answer (though such examples are few and far between). There was a lot more discussed at the conference, with the companion animal stream focused on gastrointestinal disease but also animal welfare. If you’ve never attended a conference in a regional area, I highly recommend it. In addition to state of the art lectures on managing diarrhoea and other GIT nasties I caught two beach sunrises and saw some stunning birdlife. Hundreds of people tragically lost their lives in a 6.2 earthquake in Amatrice, Italy on August 24. But one dog survived in the rubblefor ten days, and has been reunited with his owners. There’s no word in the article of any injuries or long-term effects, but hopefully the dog can be assessed by a veterinarian. (I suspect dehydration is a significant factor, and it is common for injuries to declare themselves once the adrenalin wears off). Hospitals are reportedly beginning to ban “skull caps” for surgeons, replacing them with bouffant style hair nets. Someone with more spare time than I have has pointed out the differences in this workplace wear by producing a comparison (totally non-biased of course) of the anatomy ofsurgical caps.